The Ruan Center is a skyscraper located in Des Moines, Iowa. It was built by Ruan Transportation and is located along Grand Avenue in the downtown area of the city. 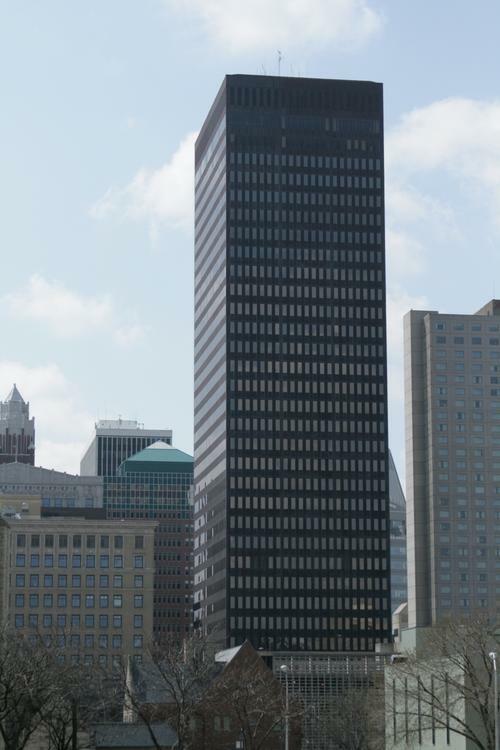 Completed in 1975 and standing at 460 ft (140m), it was the tallest building in Iowa until the completion of 801 Grand in 1991 and is currently the second tallest. The Ruan Center is locally famous as the "rusty skyscraper", for its Cor-Ten steel cladding that sheds rust. The building consists mainly of office space and is connected to Des Moines' skywalk system. The 33rd & 34th floors are home to the Des Moines club, a private members-only restaurant.